The "original" water-based adhesive for the skin. It adheres for long periods without irritation. 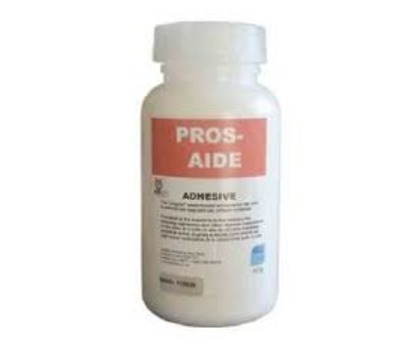 Pros-Aide is the leading adhesive used for medical prosthetic applications. Pros-Aide is the standard in the industry for adhering appliances and other make-up components to skin.